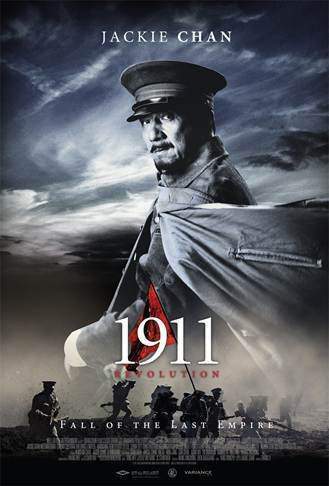 Download 1911 (Xinhai Revolution) movie for iPod/iPhone/iPad in hd, Divx, DVD or watch online. Jackie Chan's 100th movie: Starring Jackie Chan and co-directed by the star and Zhang Li, 1911 tells the story of the founding of the Republic of China when Sun Yat-sens forces overthrew the Qing Dynasty. Sun is played by look-alike Chinese actor Zhao Wen Xuan. Li Bingbing, Joan Chen and Jaycee Chan also star. This is a dramatic movie, of which Jackie Chan hopes will show the United States his ability to act in a drama. Chan plays a high ranking military officer (seems as if he is a general). It is expected that no Kung-Fu will be used, although lots battles with the use of guns in a war type setting with weapons from the time period of 1911, what was accurately used in the Overthrowing of the Qing Dynasty by the hands of Sun Yat-sen's forces. Originally Jackie Chan's 100th film was going to be "Armor of God 3: Chinese Zodiac" but due to Shaolin (2011) and this dramatic role which is currently under the post production phase., "Armor of God 3: Chinese Zodiac" and its release has been pushed back to what would appear to be 2012, unless Chan is able to release both movies. The film started shooting in September 2010 and will be released in October 2011.